Florida parents are being urged to start swim lessons early. Described by safety experts as the “silent killer,” drowning is the leading cause of deaths for children between the ages of 1-4. 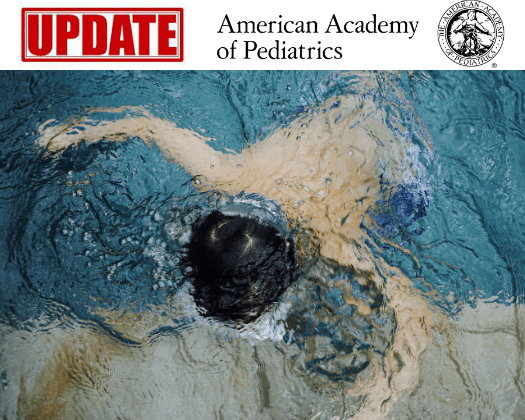 To reduce the number of drowning deaths, especially in states such as Florida, the American Academy of Pediatrics (AAP) has issued updated recommendations on water safety. Injury prevention has long been a priority of pediatricians. Over the past 50 years, public health initiatives have led to dramatic reductions in deaths from injuries related to motor vehicle crashes, sudden infant death syndrome, drowning and other unintentional injuries. However, in recent years, the rate of decline of these deaths has slowed. Drowning remains the third leading cause of unintentional injury-related death among children between the ages of 5-19. In 2017, almost 1,000 children died from drowning and 8,700 visited a hospital emergency room because of a drowning event with toddlers and teens at the highest risk. HealthyChildren.org offers water safety advice based on children’s developmental stages and recommendations on how to find a good program for children to learn how to swim. “Research has found that swim lessons are beneficial for children starting around age 1, and may lower drowning rates”, said Linda Quan, MD, FAAP, who helped write the “Prevention of Drowning” study. “Families can talk with their pediatrician about whether their child is developmentally ready for swim lessons, and then look for a program that has experienced, well-trained instructors. Water safety expert Mindy York praised the AAP’s updated reported. York started Baby Otter Swim School after she nearly lost her own child 30 years ago. Even the best swim lessons cannot “drown-proof” a child. That being the case, AAP strongly recommends parents take steps to make a child’s environment safer. For homes with a pool, the most important safety measure is a four-sided fence that completely surrounds the pool and isolates it from the house. Previous articleC. Edmund Wright: Which is the Bigger Scandal, Bribes to get into College or College Itself?